Remediation definition: the diagnosis and work of remedying a problem(s) specifically to reverse or stop a trauma. Step 1: Make a short list of what you have observed with a rough time table for Step 2. Step 2: Contact Basement Detective 703-684-0860. We can sometimes help with simple problems over the phone. If not, we can schedule an appointment with a technician. Step 3: Technician arrives and goes over the problem with you to determine a cause(s). Step 4: The technician will then explain what they see to be as the cause of the problem and will offer a bid / proposal to have the work performed. Basement Detective will not always bid all projects. Sometimes the solutions are things homeowners, landscapers, or handymen can easily perform. Step 5: Relax knowing the root cause is fixed and that the issue wont return. Firstly, mold requires steady dampness, dew like condensation (like a hot shower creates), or actual water. Secondly, mold requires organic product to grow and multiply. Mold loves cardboard (keep paper and cardboard off the floor), paper (a main ingredient in drywall), soft untreated woods, cotton, any natural organic plant materials; bedding, carpet, books. 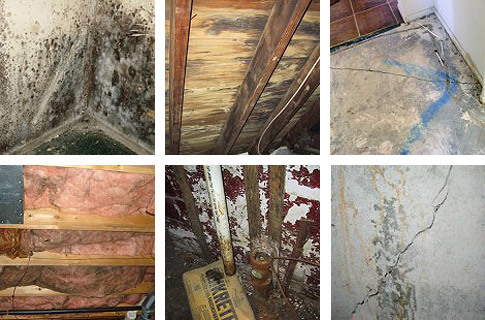 Basement Detective’s are experts at diagnosing and assessing many various source causes of mold.